And the Winners Are… | Crystal Water Villas Blog - Lake of the Ozarks! Thank you to everyone who participated in our very first contest! 1st Place: Michelle L.- Won a week stay at our gorgeous property, The Crown. 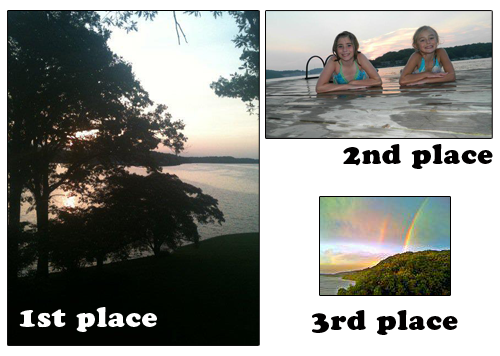 2nd Place: Angela H. – Won a weekend stay at our beautiful property, Eagle’s Landing. 3rd Place: Trey – Won a $100 gift certificate toward a stay at any of our properties. Thanks again to everyone who participated. You have another chance this month to win a $100 gift certificate to your next stay with us. Check out our Facebook page for more details. Hint: Look for the “Jack-O-Lantern” tab! « Now, This is Luxury!